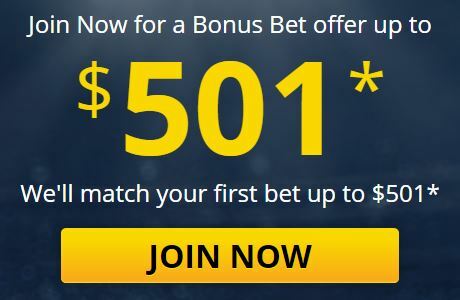 Many bookmakers offer free bets such as “Bet $100 to receive a free $100 bet” as a sign-up bonus when opening an account or to encourage people onto their site during a certain event such as the Grand Final. It is possible to use these free bets to make easy money with no risk. It is a simple technique of backing with your free bet and then laying that bet on a betting exchange so that you make a profit regardless of the outcome of the match. It could be answered by saying 'how long is a piece of string' because the amount you make is really dependent on how much time you put into it. We have many members of the Bonus Money Pro service who derive a full-time income from matched betting. If you are just beginning to matched bet it is reasonable to assume you could make between $2000-$5000 from sign-up bonuses alone. It is also possible to make up to $2000 per month from ongoing promotions. These promotions are offered to existing customers as a way to keep them betting. There are hundreds of opportunities each week to get involved with and the bookmakers compete for custom. The risks are very minimal. With matched betting, you cover all possible outcomes by backing and laying your bets to make an equal profit. You are effectively eliminating the risks that are associated with traditional betting. The only real risk is human error, such as forgetting to place a bet or placing a bet incorrectly. By joining the Bonus Money Pro service you get access to support to ensure that human errors are minimized. Which Bookmaker should I sign up with first? Our recommendation is to sign up with the TAB as your first bookmaker. This is because they offer a bonus to any resident of Australia. Our matched betting guide takes you through the step by step process of profiting from this sign-up bonus. If you complete each of the steps you will make a profit of roughly $70 risk-free. If you are already signed to the TAB, you can get involved with the other bookmakers that we list. Matched betting is suitable for any Australian resident over the age of 18. It is perfect for anybody looking to make a tax free second income. Anybody who has been looking to make money online will not find a simpler method than matched betting. Whether you are working full time and want to boost your income, working in the "Gig Economy" or a stay at home parent - matched betting is a viable income option. Do I need much knowledge of betting? You don't need to have any knowledge of betting as our beginner's guide will teach you all the information about betting that you need to know. That said if you understand how placing a bet works or how to navigate around a bookmakers website it is even easier. You can brush up on the lingo here. Do I need much knowledge of sports? You don't need any knowledge of sports. When you are matched betting you aren't predicting a team to win. You are using simple maths to profit from the promotions that bookmakers offer. If you are going to be matched betting without the use of a service like Bonus Money Pro then you will need to calculate how much to bet on each team to derive an equal profit. Bonus Money offers a heap of tools that mean you don't need to even work out how much to bet. We have calculators that work out for you the exact amount to back and lay to gain an equal profit regardless of the outcome of the match. Is it possible to make consistent profits through Gambling? Remember matched betting is not gambling it's the process of matching your bets to gain equal profits regardless of the outcome. It is possible to make consistent profits matched betting. Gambling is risky, matched betting is not. There are many members in our community that do this on a Full-Time basis. Why doesn't everybody do matched betting if it's this good? Many people are skeptical about matched betting. There are very few legitimate ways of making easy money online so when someone tells you they make money this way they simply don't believe it's possible. In the UK there are an estimated 200,000 people who have taken part in and profited from matched betting but in Australia, this number is vastly smaller at this time. Most people think that if it sounds too good to be true, then it probably is. Which is why Bonus Money lets you decide for yourself with a 30-day money back guarantee. Can I do matched betting in New Zealand? Many of the promotions that are available to Australian residents are also available to residents of New Zealand. We have many Kiwi members in our Pro forum. If I’m already a member of a bookmaker but didn't know about matched betting previously will I still be able to get the sign-up bonus? Unfortunately not, but you will still be able to take advantage of their ongoing promotions. Even with the absence of sign up bonuses, you'll still be able to make consistent profits month after month. Can I open another account with the same bookmaker? Bookmakers have sophisticated technology and it's pretty easy for them to determine if you already have an account with them. You don't want to risk having a bet or bonus bet canceled after you have layed your bet as you could easily be out of pocket. A few of the bookies will identify that you have an account already if you try to resign up and stop you from completing the process. Other bookies allow you to open a second account but either merge your account or close it in the days following you opening it. Can my wife or husband open accounts too? A few but not many bookmakers allow partners to also open an account and get a sign-up bonus. Many bookmakers have strict terms that don't allow people to gain a sign-up bonus if another person who lives with them has already had a bonus. They track this via your IP address as well as your physical address. Any sport or market can be used to match bet. The best sport is the one with the odds closest matching Betfair which can be literally anything. One piece of advice though is that betting on obscure sports such as Lithuanian handball just to gain an extra couple of percentage return on a bonus bet is not particularly wise. You want to appear to a bookmaker as much like an ordinary punter so that your account doesn't get banned from using promotions. The best way to do this is to bet on the most popular markets such as AFL and NRL. I don't understand some of the betting terms? When starting out it can be confusing but if you read our beginners guide to matched betting we go through all the core terms and concepts that you need to understand. We also have a comprehensive glossary of terms that covers everything related to matched betting. After I place a bet can the odds change? If you've selected a fixed odds bet, then the odds you select will remain the same regardless if the odds change on the bookmakers' website in the run-up to the start of the match. The only exception to this is with horse racing whereby odds may be decreased if a horse is scratched and does not race. It's therefore wise not to bet on horse racing when first starting to matched bet. What is the best deposit method for matched betting? The best method for depositing into bookies is via your bank card. Avoid using credit cards as they will usually treat a bookmaker deposit in the same way as they do from withdrawing cash from an ATM whereby you are charged interest instantly. There are other methods to deposit into bookmakers such as POLI and Skrill but often depositing using these methods mean that you won't be eligible for the sign-up bonus. You don't have to have a separate bank account to matched bet but it can be a good way to keep track of your money. Read our setting up for success guide to learn more about suitable bank accounts. How do I keep track of my deposits and withdrawals? It's wise to keep a track of where you have deposited and the withdrawals that you make. It is usually done in the form of a spreadsheet. Bonus Money users can access our free tracking template. Will I need to send ID to the bookmakers? Bookmakers require you to positively identify yourself. Although some bookmakers automatically do this you may need to send copies of ID such as driving licenses, passports, copies of your bank card and proof of address. My Paypal payment failed, How do I renew my subscription? The payment method will try again automatically in 5 days time. After 3 failed attempts it will cancel fully. When do you update the offers? We check the offers on bookmaker pages regularly. Generally we'll sweep through each morning and pick up all offers available at the time, then again later in the afternoon. We aim to have current offers available before 10AM each day. Often bookmakers will vary when they release their offers, so these will be added and adjusted through the day. Toward the end of each day we do another sweep to make catch any changes or additions. If you ever notice an offer is missing or incorrect, please do get in contact, and we'll update as needed.